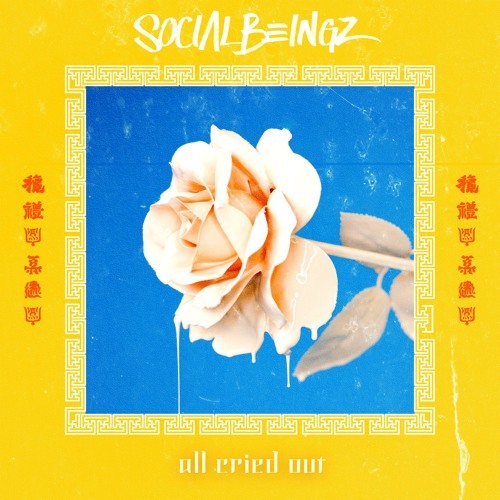 Home / brand new / brand new artist / música / Social Beingz / Tessa E / Social Beingz Unveil New Single "All Cried Out"
Social Beingz Unveil New Single "All Cried Out"
Manchester based duo Social Beingz have just unveiled their brand new single All Cried Out. This is an upbeat, groovy song with infectious pop melodies. London based singer Tessa E's vocals are very smooth and perfect for this genre of pop/dance music and and perfecly paired with Ryan's vocals. The song gives me vibes of UK 2000's pop music, especially Craig David stuff. All Cried Out is a catchy piece of pop music perfect for the summer. Stream it below! One-part U.S. one-part U.K. Social Beingz are a brand new cocktail of urban-pop music. Ryan Louis Griggs, born in Florida and raised in Connecticut, USA, moved to Manchester, UK, in 2007, where he met Mancunian native Josh Green. Between Josh’s infectious pop melodies and Ryan’s uplifting rap lyrics a musical taste sensation was born. Their music is influenced by artists like Craig David, Macklemore, Drake, Jon Bellion, Twenty-one Pilots, and they are not afraid to admit their love for N-Sync, One Direction and Justin Bieber. Ryan & Josh write every lyric and melody, putting 100% of their passion into their craft.